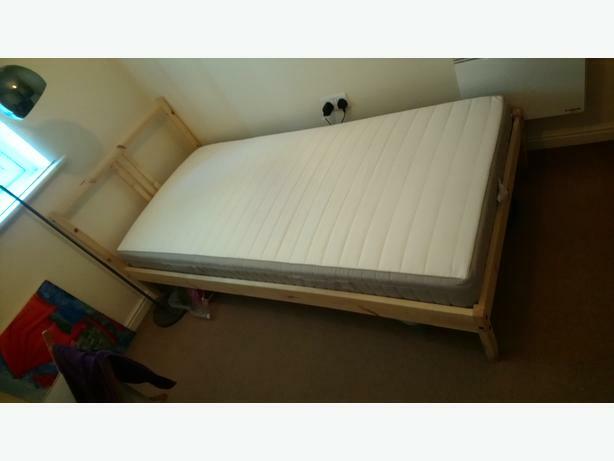  Log In needed £50 · single Ikea bed + mattress, nearly new! I have a single bed with a mattress to sell. Perfect condition, only a few months old. Selling, because I'm moving out to a place that's fully furnished.